Bossman Birdie is one of the influencers at the forefront of Sadiq Kahn's anti-knife crime campaign which aims to inspire 12-16 year olds in and around London to realise their potential. In 2016, knife crime across England and Wales rose by 14%; this year it has already claimed the life of 40 Londoners under 25. Island got involved with the campaign after being approached by a contact from the AMV BBDO agency. For over two months, senior digital marketing manager Faye Williams has been working with the Island team to get the it off the ground. 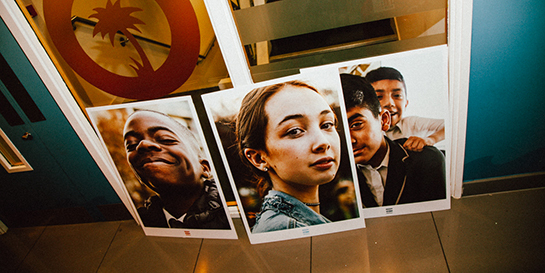 Island held their launch party to spread the campaign's intentions and message. It was attended by contacts, creatives, influencers and artists, including Kiko Bun and Blessed, and ended with a performance from Bossman Birdie who showcased his new track Good Good, which was released the same day. Bossman Birdie has been working with the campaign team to capture content which shares his story of growing up in London, telling how he turned himself around to become a well-respected figure in the UK’s urban music scene. The North London MC was seen sharing his insights in a BBC London News piece about the campaign launch last Wednesday evening. Various campaigners and figureheads have joined Bossman Birdie in supporting and facing the campaign, including Virgin EMI’s urban poet Hussain Manawer as well as rapper Yungun and blogger The Slumflower. The announcement encouraged anybody keen to support the campaign to simply share the video or logo with #LondonNeedsYouAlive on social media. 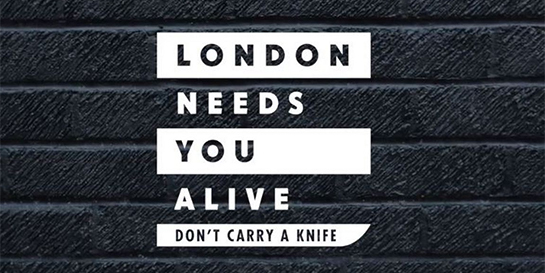 London Needs You Alive follows in-depth research and analysis with communities and young Londoners who are most affected by knife crime. It also has the support of youth workers and families who have tragically lost loved ones and are now dedicating their lives to tackling the issue. It will be supported by an educational toolkit for schools and community groups, which will roll out in the coming months.